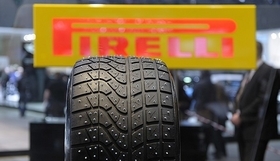 Raw materials shortages have forced Pirelli to suspend operations at a plant in Venezuela. ROME, Ga.—Pirelli & C. S.p.A. will increase prices on all of its passenger and light truck tires in the U.S., beginning Jan. 1. The increase, the tire maker said, will be 6 percent on average, but will vary by line and tire size. Pirelli noted the increases are due to the higher price of raw materials and growing investment in the development of new technologically advanced products.